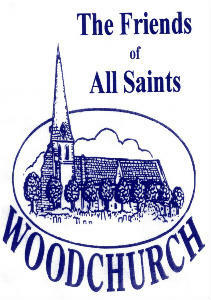 The Friends of All Saints Woodchurch was established in April 2006 with the aim of raising funds to assist with the maintenance of the church building and its graveyard. Our lovely old church has been at the heart of Woodchurch for generations and the Friends invite you to help maintain the fabric of the building and the upkeep of the graveyard so that villagers and visitors alike can continue to enjoy its facilities. The Friends scheme is one way that the parish, and the wider community, can support our heritage for future generations. The Friends are funded by subscriptions and donations of members and by regular fund raising events. Membership is £10 a year and membership forms can be obtained from the church or downloaded here.